Hay squirrelfriends! 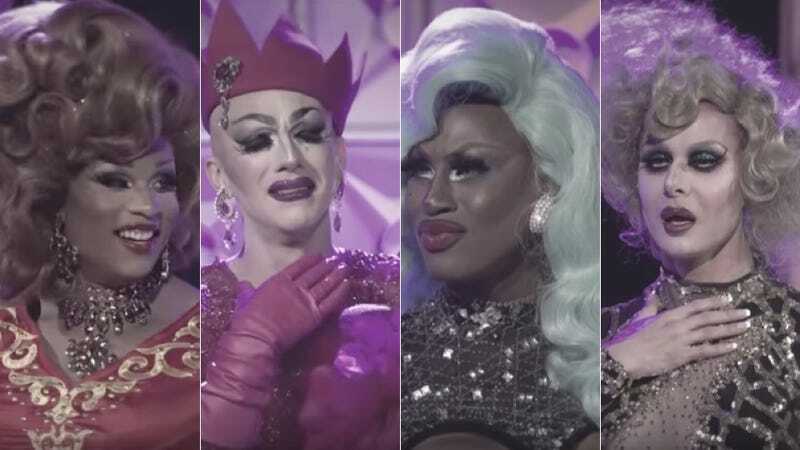 It’s finally time to crown America’s Next Drag Superstar, and Season 9 has been a real doozy, with a surprise four-queen finale that seems as tight as any Drag Race has ever been. Will it be Sasha Velour, the intellectual art diva? Peppermint, the congenial and heartfelt beauty? Shea Coulee, the wacky, funny badgal? Or Trinity Taylor, the doyenne of the pageant? WE DON’T KNOW! But we’re liveblogging this whole damn thang, joined yet again by New York queens Rify Royalty and Dust Tea Shoulders, the baddest babes not on your screen! Stick with us the whole way through, and pray on your mama’s bra-cups that all the wigs get snatched.